Beachwood K-12 students will display their creative artwork, including collages, drawings, paintings, and sculptures. Entertainment will be provided by talented student musicians. Create a beautiful "floating" necklace, using silk cord, Swarovski crystals, and freshwater pearls. $25/BAC members• $30/non-members.Fee includes all materials. The registration deadline is Saturday April 20, 2019. To register, please call 216.595.3400. This spirited women's ensemble will entertain us with a cappella music, including jazz tunes, doo-wop songs, and pop hits. Pianist Alicja Basinka, violinist Jeanelle Brierley, and French horn player Meghan Guegold will play classical music composed by Brahms, Korngold, and Schubert. 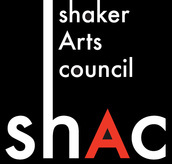 Beachwood Arts Council and Shaker Arts Council will present "Good Neighbors;' a juried art exhibit featuring the work of four Beachwood and four Shaker Heights artists. Works will include landscapes, abstracts, and portraits, created in various media, such as pastels, oils, acrylics, and charcoal. Upcoming events will be discussed, new officers and board members will be sworn in, the recipient of the Si Wachsberger Art Award will be announced, and entertainment will be provided.